The Yankees off the negative public outcry from Joe Torre’s exit, felt pressure to placate the fans. Cashman despite taking a hard line against ARod, had Hank Steinbrenner foolishly handed him a 10 year albatross of a contract. ARod should have been resigned, but not double the money another team was willing to offer. Hal is now the clear lead owner of the Brothers Steinbrenner and has empowered Cashman to fully run the baseball operations (without having Hank around to botch things up). Jeter has been a great player, but no longer is. Given his captaincy and status on the current team, the Yankees offered Jeter double his true market value. Yet, this offer was deemed “baffling” by his agent Casey Close. What’s truly baffling about this negotiation is Jeter’s/Close’s thinking that they’re deserving of 4-5 years and $85-100M. If that’s the case, the Yankees should avoid repeating their sins of the past by caving to fan and media pressure. Similar to what the great Steelers players meant to Chuck Noll, Jeter represents winning, loyalty and comfort to Yankee fans. However, giving him a “blank check” or paying him an exorbitant amount of money for his past achievements and/or future milestones is bad business. I applaud Cashman and Hal for their stance in these negotiations. Sorry Derek as Michael Corleone said, it’s not personal, it’s strictly business. Hopefully offering to make him the highest paid middle infielder in the game isn’t too much of an insult to Jeter/Close. What do you think of the current Jeter negotiations? Do you side with Jeter or Yankees ownership? A few days I posted a link for all of you to go and vote for Zells as Yankees Blog of the Decade over at It Is High…It Is Far…It Is Caught. You went out and voted your little heart out and bumped Zell’s up to Fifth Place as we tied with NoMass. The LoHud Yankees Blog came in first place, and it’s well deserved. To see the complete standings go here. Thanks to everyone that voted and we hope you continue to come to Zell’s for all your Yankees news year-round. It’s just an honor to be in the top 5 Yankees blogs of the decade. 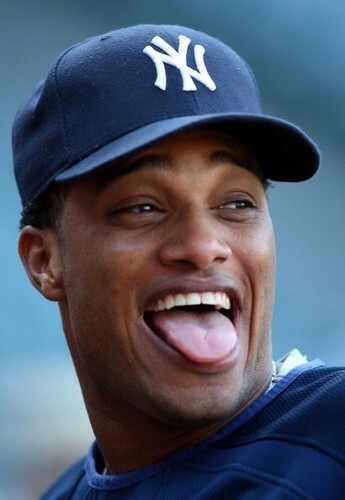 Maybe it’s good that Cashman goes to Jeter for advice on some player moves and not Cano. Maybe about 8 years ago I would have been all for this, but now? Ehhh, I don’t think so. 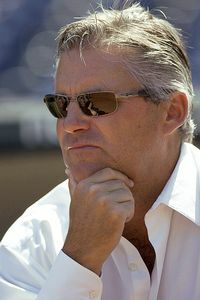 According to Tracy Ringolsby, Kevin Towers, Padres ex-General Manager from 1995-2009, is reportedly close to accepting a job in an unknown capacity with close friend Brian Cashman and the New York Yankees. Kevin Towers was once a first round draft pick in 1982 for the San Diego Padres and pitched seven seasons in the minors, reaching Triple A, before his playing career ended due to injuries. He has also served as a scouting director and scout in the past. Moving on to other news Olney has reported, it appears as if the Yankees don’t have Jason Bay or Matt Holliday at the top of their list, especially if they can resign Johnny Damon for about $7-8 million. I am glad that they are not going to spend a ton of money on either one of them, especially Matt Holliday, as I don’t think he’d be a great AL player, regardless of what Scott Boras tells you. 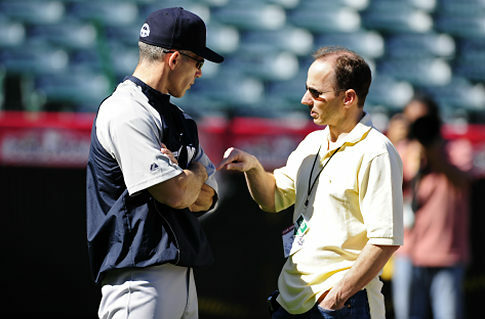 In a minor note, Arn Tellem and Brian Cashman are to get together to talk about Hideki Matsui during winter meetings. Many years ago (2005ish) I moved away from the New York – New Jersey area due to a new job and it took me away from hearing the Yankees on the radio. 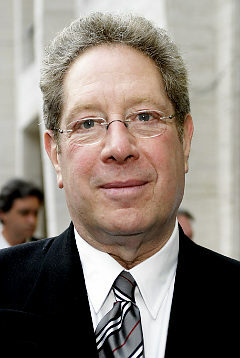 I know there are some outstanding critics of John Sterling and some of the criticism may be on the mark. However, I love his calls and how he calls the game, I just typically can’t stand for his partners. After searching over at MLB.com’s video archive, I found a 12 minute clip where they have recorded John’s big calls during the 2009 postseason and applied it to the applicable play. I hope you enjoy it as much as I did. In a shocking piece of news as the Yankees Organizational meetings come to an end, the Yankees will bid on Roy Halladay. Jon Heyman surmises that it will take some combination of Phil Hughes, Joba Chamberlain, Jesus Montero, and Austin Jackson, which is another bit of shocking news, right? Personally, I would start off with an offering of Phil Hughes (Sorry Zell! ), Austin Jackson and maybe someone like Ian Kennedy. Personally, I believe Joba has a higher upside and I’d rather not potentially give up a bat like Montero’s. Ian Kennedy? That was more of a throw in, I still believe he has something to contribute to a major league team. In reality, I know that won’t be the package that would win Roy Halladay’s services. I can see either Joba or Montero leaving, but both of them? Unlikely. The winter meetings in Indy begin on Monday and Halladay is likely to dominate meetings there, so let the fun begin! Yesterday the Yankees brass started their annual organizational meetings, while Joe Girardi would be in attendance today. Most likely the topics to dominate the meeting would be the budget for 2010, whether or not to re-sign either Johnny Damon or Hideki Matsui (What, no Jose Molina love?) 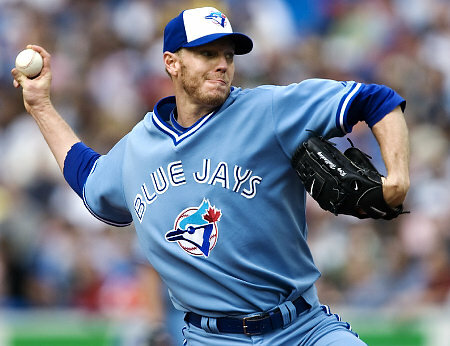 whether to go after free agents John Lackey or Matt Holliday and whether to go after Blue Jays pitcher Roy Halladay. According to ESPN.com, The Boss has taken part in some of the meetings so far. I don’t know if it’s me, but in years past you would have figured that Big Stein would have been hot on Doc Halladay’s trail by now. Now, we have the Yankees trying to appear to be ‘fiscally responsible’ which is all good, but when the best pitcher in baseball becomes available, acting like you don’t care won’t win. However, the Yankees may come out of their meetings and go after him, which makes my above statement null and void. The Winter Meetings in Indianapolis begin on Monday, so the outcome of organizational meetings might be obvious then. We’ll just have to wait and see. After a few games of watching rookie Quarterback Mark Sanchez struggle while sliding to avoid pressure in recent games, the New York Jets needed to call in some ‘help‘. So what does Jets coach Rex Ryan do? He calls Yankees Team President, Randy Levine and asks if he could supply a special instructor to help Sanchez. Guess who showed up at the Jets facility? 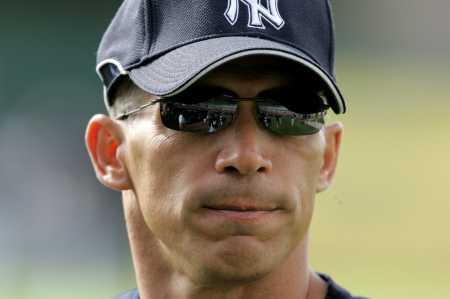 Good ole Joe Girardi. While Girardi wouldn’t have been my first, second or maybe third choice to help a rookie quarterback in regards to sliding, it still isn’t a bad choice. Girardi in his career stole 44 bases — and was caught 31 times. I guess we’ll see this weekend to see if Sanchez was able to grasp the fine art of sliding.